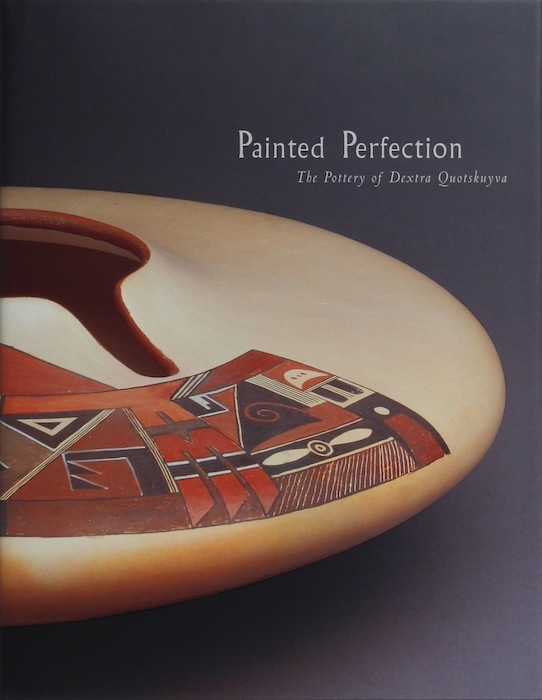 Dextra Quotskuyva is one of the most influential Native American potters of the past half-century. She learned her masterful handling of clay through her distinguished family, which has excelled in the art for more than 125 years. Each of her painted designs is unique, and each is executed flawlessly. Painted Perfection is the first major retrospective exhibition devoted to this master, who was named an Arizona Living Treasure in 1994. Author Martha H. Struever has worked closely with Dextra Quotskuyva for the past 25 years. As a collector, dealer, and educator, Streuver has introduced thousands of people to the work of her favorite artist. Here she explores Quotskuyva’s craft, the painted innovations that set her apart from most Pueblo potters of her generation, and the artistry of five generations of Nampeyo family potters.